Like most of you, today I celebrated Thanksgiving. And through the magic of unconscious psychological repression, I happily stuffed myself silly without a thought for those who would be going to bed hungry tonight. Likewise, I gave thanks for the blessings of our land with only the briefest of thoughts about how we had stolen this land hundreds of years ago from its indigenous peoples. But that slightly uneasy feeling that comes over me every year when Thanksgiving rolls around was undeniably in the background of my consciousness! 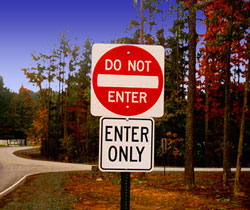 Psychologists call that vaguely uncomfortable feeling I was having "cognitive dissonance" — the mental stress or discomfort experienced by an individual who holds two or more contradictory beliefs, ideas, or values at the same time, or is confronted by new information that conflicts with existing beliefs, ideas, or values. If you shared any of my discomforting feelings today in the midst of your own Thanksgiving celebrations, then you have directly experienced the process by which cognitive dissonance happens inside the minds of people who still resist the painful and frightening realities revealed by the irrefutable findings of the researchers and activists of the 9/11 Truth Movement. Our friends, neighbors, and family members who cling to the formal 9/11/01 myth must inevitably suffer from vague feelings of discomfort whenever 9/11 Truth comes close to penetrating their psychological defenses. But it is still just too frightening for them to honestly examine the evidence and confront the reality of national betrayal. Here is an article and video that explains how and why you may find it so difficult to have a rational debate regarding the events of 9/11/01 with the people you care about. And here is a strategy for reaching out to the 9/11 Truth deniers in your circle of family and friends. (Step 1 Alternative) – Not willing or able to invest 57 minutes in this exercise? Then substitute this video: “This Is An Orange” (2 Minutes) for the one above. Step 2 - As the video unfolds keep repeating “Well, that doesn’t prove that explosives were used to bring down the buildings!” again and again every time one of the World Trade Center buildings collapses during the video. Step 3 - Each time you repeat the above mantra of denial notice how your gut feels. Are you angry? Are you afraid? Are you bored? Are you thinking “I just can’t be bothered with doing this stupid exercise?” Where do these thoughts and feelings come from? What do they mean? Ask the people who you invited to try this exercise to share their experience with you afterwards. Be sure to do the exercise yourself so you will know what it feels like to experience the cognitive dissonance that the exercise inevitably generates. Today I give thanks for all of you who continue to question the formal narrative of 9/11/01. Thank you for your perseverance in the pursuit of 9/11 Truth. I am grateful, too, to those of you who question the logic — or even the sanity — of us "Truthers" yet continue to dialog with us in an effort to understand our perspective. And I am grateful as well to those of you who still fully embrace the explanations we were given by our government and media regarding the events of 9/11/01. For I know that your good hearts are quietly gathering the courage to one day face the painful and frightening truth that those responsible for protecting us were the very ones who betrayed us. As you may already be aware, the dedicated researchers of Architects and Engineers for 9/11 Truth continue to work tirelessly to bring the reality of 9/11/01 into the full light of day. Please sign their petition, donate to support their work, and pass this email on to your lists with the request that your readers do the same.